Proudly serving the entire greater Cape Coral area. The #1 Towing Company in Fort Myers! We fast response as well as reliable and affordable towing service in Cape coral and the surrounding areas. Simply put, we are the best Towing Service and Tow Truck Company in Cape coral! Been stuck on the road and need some assistance immediately? You got us! The best towing Service in Ft Myers, FL. call us and we’ll be there immediately! We know the fact that you are willing to pay more to get your vehicle fixed. But Cape coral Towing Service will assist you with a reasonable price. We promise to provide affordable towing services here in Ft. Myers. We don’t take advantage of you at the most inconvenient time, you’ll be glad you called the best Towing Service in Ft. Myers instead of someone else! Car breakdowns come at the most inconvenient time. Unless there are issues with your car. We really don’t know when or where it is going to break down. What you need is a local towing company in Cape coral that will answer your call and assist you right away. We’ve been in that situation too. Why Should You Call the Most Affordable Towing Company in Cape coral, FL? The family needs an extra special care we don’t want to see our family stuck and stressed because of the car breakdown. Here at Cape coral towing service, we treat you as our family. As a family you’re going to have that special care from us, meaning you’ll get the fastest respond from us. We’ll be there immediately to assist you. We provide you with affordable towing service in Cape coral, FL. You can trust us to take care of your car issues and we won’t take advantage of you. You can Get fast and reliable towing service for your car or truck with the most affordable price. We are not like those cheap towing companies that will keep you on waiting. We promised that you’ll feel even happier when you call us. We are the fastest towing service in Cape coral. As soon as we received your call we will have a tow driver and our expert team out to your location fast. We are holding extremely high standards to responding. We value the time that’s why we’re going to assist you immediately. We are fair enough to handle situations. Sometimes we can’t come fast to assist you but you don’t need to worry we have tons of drivers to handle it. And when there will be a cause of delay to assist you we’ll immediately let you know in advance. We are the most reliable towing company in Cape coral. We deliver our quote in time. If there will be a cause of delay from doing it we’ll call you immediately. You can trust Cape coral Towing company. Once you call us we’ll answer immediately and give you estimate. And we’ll be doing our best to reach you quickly. You can also rely on us to have the most reasonable and affordable towing company prices in Cape coral, FL. As Cape coral’s premiere towing service company, We provide service 24 hours a day. 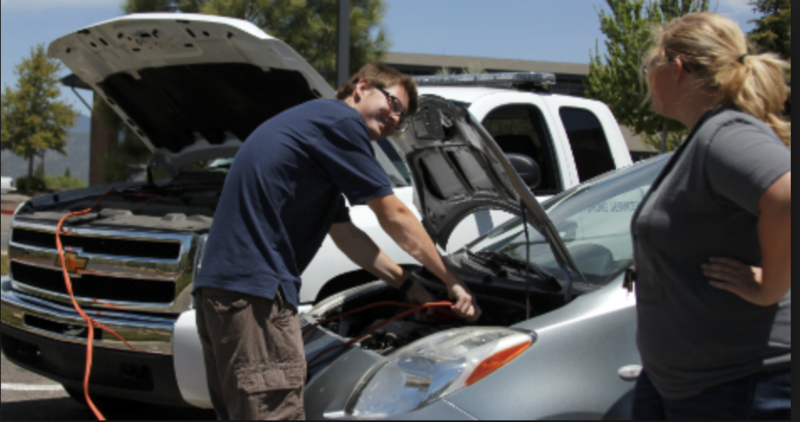 We know car troubles strikes anytime a car door locks, a tire change service, or engines overheated. That’s why we provide 24 hours assistance. I don’t matter what time are you calling what matters most is to help you. Just call us and we’ll be there right away. Here at Towing Service in Cape coral, FL we have our team equipped and ready to handle any kind of situation.We give secured transport for your car or truck even motorcycle. We give security when loading your vehicles onto flat-bed. We give you the assurance that we’ll tow your vehicles safe and will not get any damage. That’s because we have our team experience and equipped. Been stuck on the road and need some assistance immediately? You got us! The best towing Service in Cape coral. Call us and we’ll be there immediately! We know the fact that you are willing to pay more to get your vehicle fixed. But Ft Myers Towing Service will assist you with a reasonable price. We promise to provide affordable towing services here in Cape coral. We don’t take advantage of you at the most inconvenient time, you’ll be glad you called the best Towing Service in Cape coral instead of someone else! Car breakdowns come at the most inconvenient time. Unless there are issues with your car. We really don’t know when or where it is going to break down. What you need is a local towing company in Lehigh Acres, FL that will answer your call and assist you right away. We’ve been in that situation too. We’re the best towing company in Cape coral. We provide fast response as well as a reliable and affordable towing service. Simply put, we are the best Towing Service and Tow Truck Company in Cape coral! We are all experiencing that sometimes life happens while we’re driving. Flat tires, your engine fails, empty gas, locked door, some mechanical issues that cause of being stuck on the roadside. You don’t have to experience those situation. Call the fastest towing service in Cape coral. We’re here to serve you! Call Cape coral Towing Service and we’ll be there to assist you. We promise your car will not be illegally parked. We can also tow unauthorized vehicle in your vicinity. Cape coral towing company will assist you whether it’s towing your vehicle, repossessing unpaid car loans even sending bills with illegal parking guilty party.